Sentient Designs is a collection of computer-aided design tools, which serve as both a stepping stone and an experiment in placing the computer in the role of a human's equal. Sentient Designs envision an artificial designer able to contribute to the creativity of its human colleague via the suggestion of novel alternatives which are tailored to the aesthetics, end-goals and design processes of the user. Sentient World is a tool which allows a designer to progressively add details to a rough sketch through the process of iterative refining. Iterative refining is accomplished by artificial neural networks (ANNs) trained via gradient search to conform to low-resolution sketches submitted by the designer; the infinite resolution potential of ANNs is then used to create higher-resolution maps which are submitted back to the designer to accept, reject, or edit. The Spaceship Design tool is an experiment in interactive evolution where the user's visual taste is captured via adaptive computational models. Identifying and measuring seven visual properties inspired by cognitive psychology as well as neuroscience, constrained neuroevolution of augmenting topologies is used to automatically generate spaceships which epitomize one or more of these visual properties. Moreover, by devising a measure of aesthetic quality which can adjust the importance of these visual properties according to a user's selection among presented content, the system is able both to identify the visual taste of the user and to accommodate it by generating spaceships which epitomize the aesthetic properties most prominent in the user-selected content. MiniDungeons is a simple turn-based roguelike puzzle game, implemented as a benchmark problem for modeling decision-making styles of human players. In every MiniDungeon level, the hero (controlled by the player) starts at the level's entrance and must navigate to the level exit while collecting treasures, killing monsters and drinking healing potions. The MiniDungeons game was created for two purposes: (a) to investigate how human players enact decision making styles in a simple game, and (b) to construct artificial agents able to represent such decision making styles. These artificial agents are identified as procedural personas and make decisions based on a utility (e.g. kill monsters, collect treasure, survive or speed run to the exit) specified by the human designer. The playtraces of such procedural personas can act as proxies of human playtraces during the design of game levels or new game rules. Moreover, the procedural personas can act as critics of an automated or mixed-initiative generator of new content (levels, rules) for MiniDungeons. MiniDungeons 2 is a turn-based roguelike puzzle game, intended to be played on mobile devices; it was designed to provide a complex yet fully observable and deterministic environment for modeling decision-making styles of human players. As in MiniDungeons, the hero (controlled by the player) starts at the level's entrance and must navigate to the level exit while collecting treasures, killing monsters and drinking healing potions. Unlike MiniDungeons however, there is a multitude of monsters that can move around the level, with different behaviors, priorities, and interaction rules. MiniDungeons 2 offers a complex and dynamic environment which challenges the design of efficient and expressive artificial agents, identified as procedural personas, that play the game using their own personal notion of utility (e.g. kill monsters, collect treasure, survive or speed run to the exit). The playtraces of such procedural personas can act as proxies of human playtraces during the design of new game levels or new game rules. The goal of the data adventures project is to generate adventure games based on open data (for instance Wikipedia articles, Wikimedia commons and OpenStreetMap). 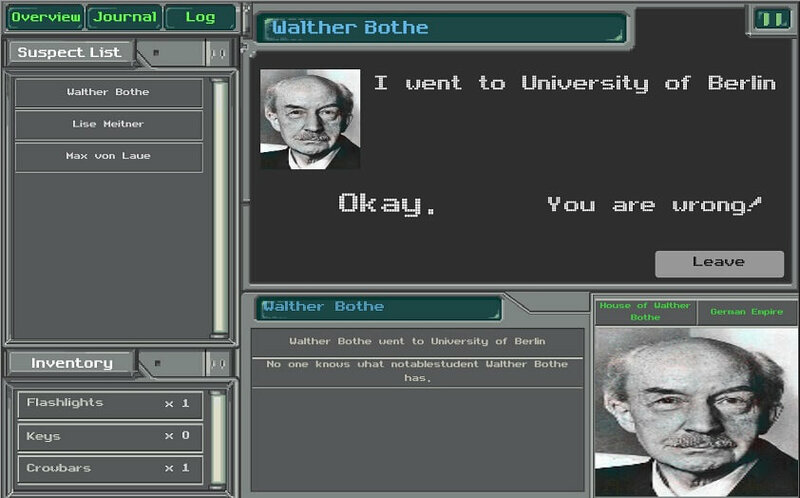 The games generated focus mainly on discovery of visual and verbal clues and pieces of NPC dialogue. Fundamentally, the player's goal is to find the location of a certain person, starting from the location of another person or clue. To do so, players can travel between different countries and cities, and explore buildings in each city. The scope of these generated games can be adjusted; an example domain currently investigated is the discovery of the culprit in a murder case. Sonancia is a system built for generating multiple facets of horror games, with the intention of creating tense and frightful experiences. Sonancia generates the architecture of a haunted mansion (with rooms and doors which may contain monsters or quest items) as well as the level's soundscape by allocating audio assets within the rooms and mixing them as the player traverses the level. Level generation and soundscape generation are orchestrated by notions of tension and suspense; the level generator attempts to match a designer-specified progression of tension while the sound generator attempts to prompt the player's suspense in rooms where tension is low. This work aims to automatically generate or adapt elements of a first-person shooter (FPS) game based on learned mappings between level structures, game parameters, and gameplay outcomes. A convolutional neural network combines inputs from level design (the top-down FPS map) and game design (the parameters of the competing players' classes); it is trained on a vast corpus of automated playtest logs to predict the results of the match (the winner's kill ratio and match duration). This learned mapping allows for a fast (although not always accurate) search-based generation of levels or character classes towards desired gameplay outcomes such as a balanced long match. Iconoscope is a multi-player digital game intended to infuse creativity to the learning process, either as a trigger at the beginning of a learning unit or as part of a toolbox used to explore a given theme. Iconoscope is played on Android tablets by 4 or more players in the vicinity of each other: the goal is for each player to create an icon depicting a concept which confuses the other players. All players choose one among three concepts which are abstract themselves (e.g. "tolerance", "acceptance" and "solidarity") and attempt to depict it using simple shapes and colors. Once all players are finished, players vote for other players' icons by attempting to guess which of the three concepts is depicted. The most ambiguous icon (collecting as many incorrect as correct guesses) is the winner. Coralize is a plugin for the Unity 3D game engine, and encompasses a library of generators for marine organisms, i.e. stony corals, soft corals and sponges. The parameterizable generators allow a user to adjust the parameters in order to create visually appealing 3D meshes. Such meshes can be placed directly in a Unity scene by a scene designer or automatically populate a seabed or reef. First person shooter levels in the Cube 2 engine are generated via a search-based generative process. 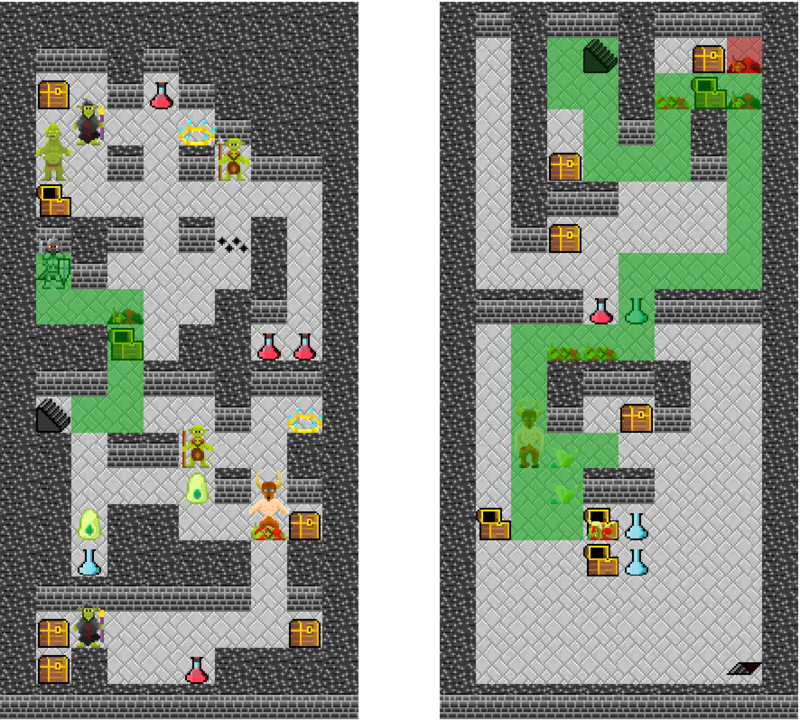 Genetic algorithms evolve the level's architecture and the placement of powerups and player spawnpoints, generating levels with one floor or two floors. The evaluation of generated levels combines metrics collected from simulations of artificial agents competing in the level and theory-based heuristics targeting general level design patterns.